Do you know the way to JFK? Its a fact that I’m now coming up on 30 years since my first trip to the USA. Back then, we had to apply for visas, send off our passports to the US Embassy, and nervously wait for approval. Yes, not an issue, and never has been since for me, I’m delighted to say. Of course, nowadays its all done online, and your passport goes nowhere! But back then… And yes, we flew with TWA, who are equally long gone by now! My first US point of entry was Boston, and of course, in just over a weeks time, my entry point into the US will be Boston! I’ve only actually done that once since, and I didnt have to go through Immigration on that trip, as I flew through Shannon, in Ireland, and cleared it there. Have been to Boston other than that, but entered the US elsewhere, before flying on to Boston. My point of exit on that trip was New York, having spent a few days there in the interim. The difference, beyond a couple of transits through JFK, I havent returned there in 30 years. Why, you might ask? Does it sound weird for someone who loves LA to say that I found it too loud for me! I know, I probably would have found LA loud back then, I’ve definitely changed since then. So, that moment of deja vu? Yes, this time around I will be travelling to/around NYC to get to JFK for my flight home. Not quite sure how it all relates to NYC in all honesty, probably depends how I get there, I guess? But no, I’m not planning on doing any sightseeing, given the state of my back at present, regardless. Plus the fact I will have a large case, and hand luggage, and…little time, hopefully. One day I will get back there, hopefully when I’m in better health, and see whether it was me, as I was back then, or if its NYC. My money is on, it was me! The video, well it rhymes with the blog title at least. No, not the expected version, from Dionne Warwick, but one from a Yorkshire lass, who has never had the fame she deserved. Yes, I might be biased lol! Author stevielounicksPosted on August 30, 2017 Categories Boston, JFK, Kiki Dee, New York CityLeave a comment on Do you know the way to JFK? Jersey day 8 (movie star moment), and then back to earth with a bump! OK, lets tidy up the loose ends, before we return to the more normal blog stuff on Wednesday, my first day off from work this week. So I had this shuttle, what you would generally describe as the larger type of vehicle used by taxi companies and the like nowadays. Nice, spacious for one, but sort of expected when you pay a fee for the privilege. So yes, yesterday, going back, I was expecting more of the same. Especially when I saw one of those cars park up across the road about the time I was due to be collected. So when the driver comes in, picks up my bags, and escorts me outside, I start to head for that vehicle, only to be told, no, you’re going in this one. This one being a large coach, designed for over 40 people, and seemingly all to myself. Me, feel like a movie star, you bet I did! No, I resisted waving to the people as I went by lol! But oh God, it feels amazing, especially when your coach pulls up at the airport, the driver rushes out with a couple of bags, followed by me, and just me! No, no photographers or journalists waiting for me, so not quite the full Harlow treatment, but I guess I know what it must have been like for them! Alright, secretly, I loved it. Then as mentioned, back down to Earth with a bump. The flight back to Manchester was due to leave at 3.15. We were expecting to be called to the gate at 2.45, but in fact they did so just after 2.30. In fact, even allowing for late arrivals, we were all on board before 3.00. And we sat there, and we sat there…about 3.20 we had announcement made to say that there was a ‘delay in the paperwork, that we should be off very soon’, and then nothing more. We finally took off at 3.55, no other news, beyond the same information as we finally left the gate about 3.50. Oh, and Kiki comes from Bradford too, what a star! Finally, a picture of a real star, or is it me? 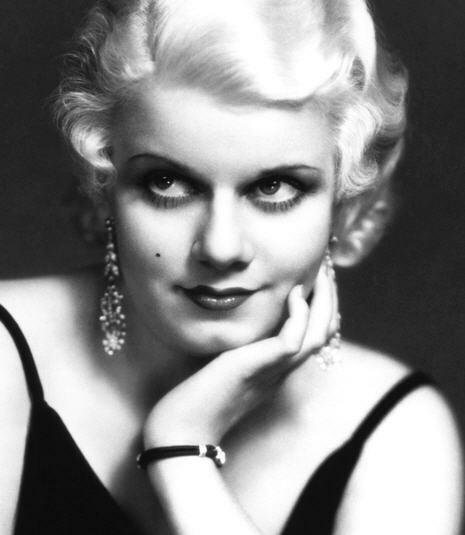 Author stevielounicksPosted on May 25, 2014 Categories Airport shuttle, Jean Harlow, Jersey, Kiki DeeLeave a comment on Jersey day 8 (movie star moment), and then back to earth with a bump! Seriously, we’re halfway through the baseball season already? Hard to believe, though less surprised to see the Seattle Mariners at the bottom of their division somehow. There have been surprises, Pittsburgh on the plus side, Philly on the minus, to name just 2. But hey, there is still a long way to go, swings and roundabouts and all that, though I’m not expecting the Mariners to improve dramatically all the same. Its quite possible that this will be the first year for many that I wont get to an MLB game live, thanks to the wonders of American Airlines earlier this year. Just unlucky that Seattle only had 1 home game the week I was there, and it was the Sunday, and started about an hour or so after I landed (finally) at Seatac Airport, in an event to be forgotten. Fortunately I’ve seen plenty on TV, thanks to ESPN America, as in fact I’m doing as I type this. The game, Pirates seemingly romping to victory over the Giants. But yes, alright, thats not why I’m doing this baseball based posting, OK? Nope, its because its the All Star Game on Tuesday, and its in Kansas! Alright, so despite that, its not in the state of Kansas, but hey, its as close as its going to get! And no, I wont see that live, because it will be the early hours of Wednesday morning my time, and someone is on an early shift that day! No, I’m not saying a word about salaries they earn, other than to say its a lot more than me lol! They sound crazy, they are crazy, but anyway…Just wish I could earn in a lifetime what the stars earn in one season! Video, I suspect this song will be new to most of my readers, but its a real blast from my past. A hit for a Yorkshire ‘lass’ named Kiki Dee (no, not her real name!) back in the early 80’s that just seems so apt.